Orders via Good Smile Online Shop can be placed between the 31st October 2017 (Tue) from 12:00JST until the 21st December 2017 (Thu) at 12:00JST. Don't click Voir le spoilerCacher le spoilerWait i told you don't click Voir le spoilerCacher le spoilerOK SURPRISE GENJI BANZAI! Finally got my hands on this guy, which was necessary since I couldn't already own Hizamaru and not have his Anija too! 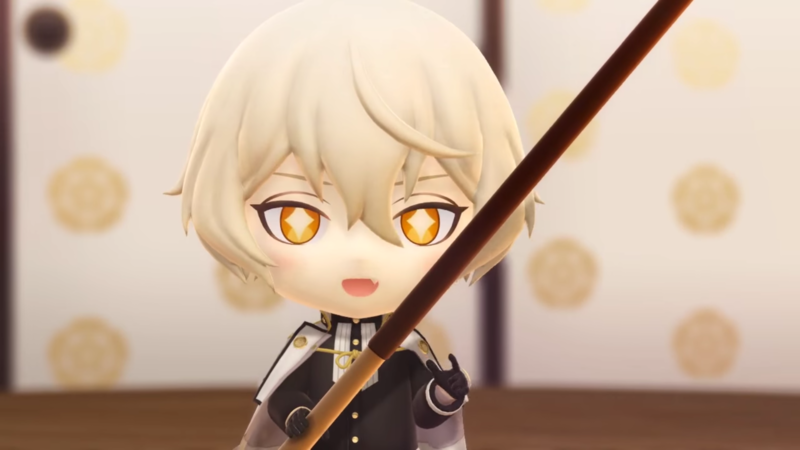 He's just about perfect in every way except for one- the sword attachment that allows Higekiri to pose with him drawing his sword just did not fit into his sheath. The white nob was just 2 sizes bigger than the hole it was supposed to fit into. I've never had an issue with any Nendoroid before. Just wondering if any other owners of the Higekiri Nendoroid also had an issue with this. Luckily, with a small bit of sandpaper and a little effort, I was able to sand down the bit to get it to fit into the sheath properly. Selling $50US obo; open box; displayed in dark room. Shipping depends on location. Anyone know if it's possible to remove that coat?